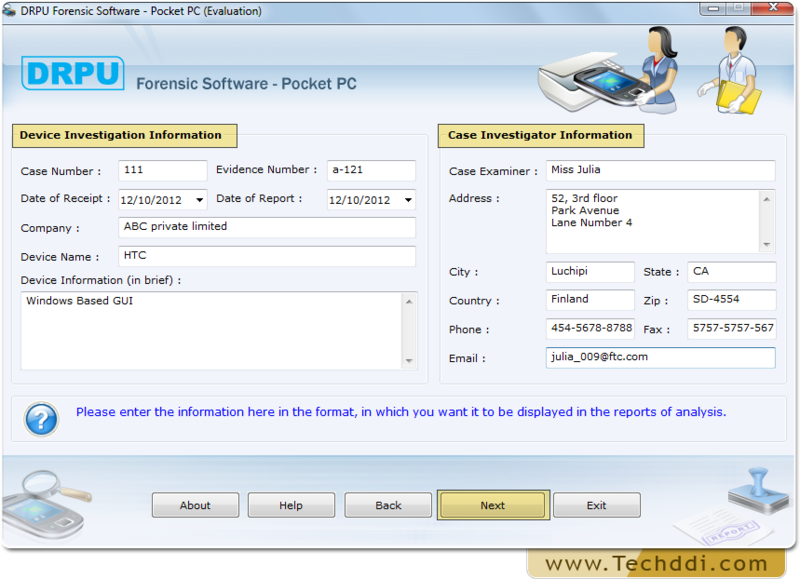 Screenshot displays device Investigation and Case investigation information. Press Next button to proceed. 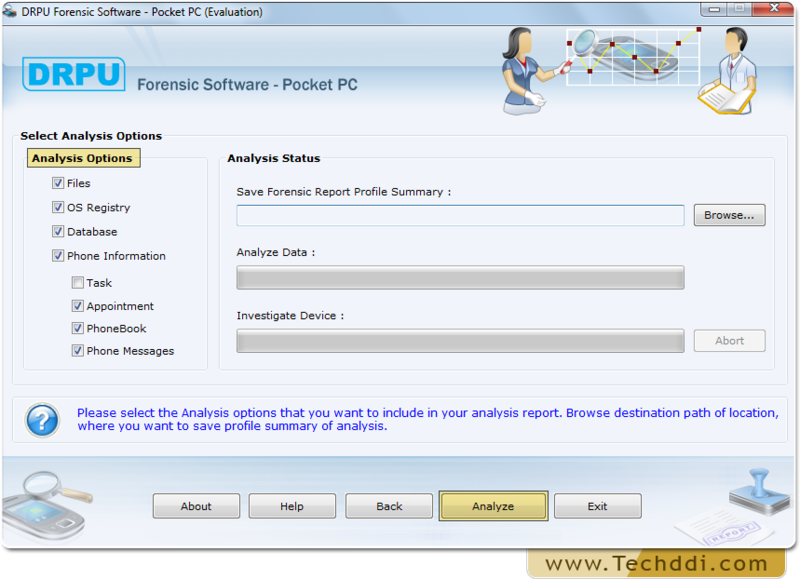 Select Options from left tree panel that you want to analyze.